Dealing with the sky is what I do best. As an Airline Pilot, Certified Flight/Ground Instructor, and Commercial Remote Pilot, there isn't any project that I won't tackle. My imagination alongside your input will produce excellent results. 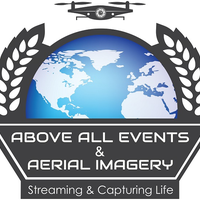 Above All Events & Aerial Imagery. Streaming & Capturing Life. Capturing your moments in innovative ways.......Reinventing fun through technology! Oct. 31, 2016, 3:15 p.m.
Chris went above and beyond our expectations for our Commercial Real Estate photography project. The images were sharp and portrayed our building in the best light possible. Very easy to work with. I would recommend to anyone needing aerial images for real estate.